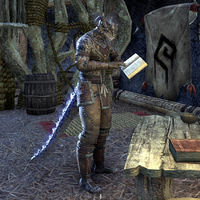 Am-Sakka is an Argonian provisioner who can be found in Vivec City. 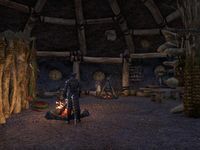 Prior to Update 11, he could be found in Pojeel's hut in Stormhold. Despite being of the "Provisioner" class, this NPC does not have any mercantile options. This page was last modified on 19 February 2019, at 20:26.